It’s quite exciting to walk past a plant made to sound alive by the urgent buzzing of many bees. Such is the state of the lavender at River Myst Haven. The hearty, fragrant blooms of the lavender at River Myst Haven help fill a gap in the abundance of blooms during early/mid summer. 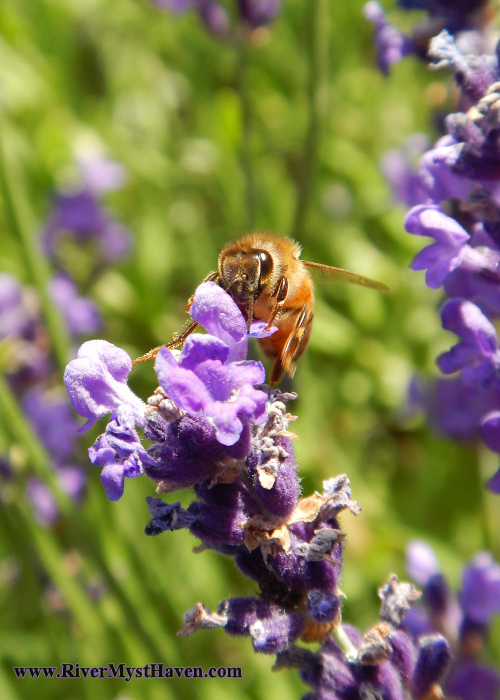 Also, though mostly subjective (highly argued with little research), some say lavender helps control varroa mites (a scourge in hives). 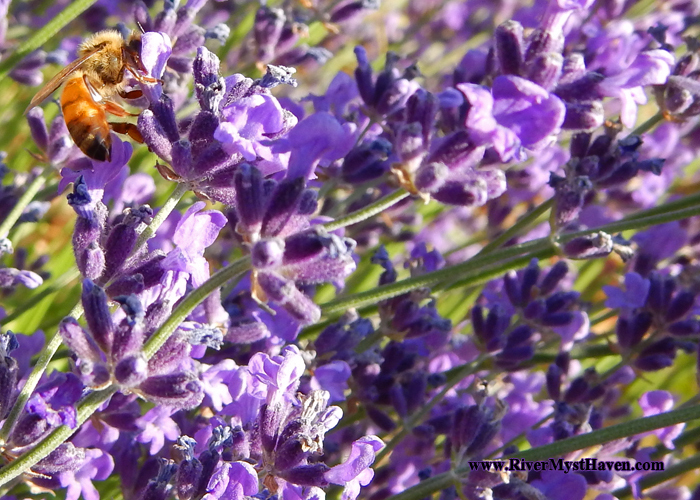 Honey from the hives of bees who have gathered heavily or predominately from these flowers typically has a lovely floral quality often (but not always) with the distinct scent of the flowers.